The 3th photo isn't mine, but i thought the colours looked perfect with my outfit! Wat een leuke outfit, mooie kleuren bij elkaar! 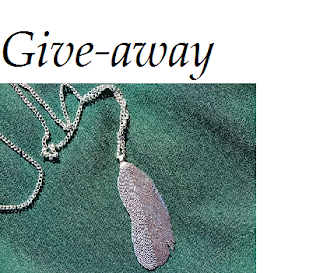 Wat een leuke ketting! Love the pictures. have you seen my new post of Milan Fashion week? and have you partecipate to my Chanel giveaway? come and see to visit miriastella blog! great outfit love the colors! Leuke kleuren combinatie, lekker herfstig ;p ! Following dear. I love this look, it's terrific. Specially the trousers (I really love, so preatty) and the necklace. 15? A year older than me :) Thank you so much!I love your blog and your great outfits! wauw wat een geweldige blog! ik ga je zeker volgen! Je blouse is zo leuk! Die broek is erg mooi! Love those coloured jeans on you!!! Wow die broek is super gaaf! Those trousers are a m a z i n g ! Die ketting is echt zaligg! 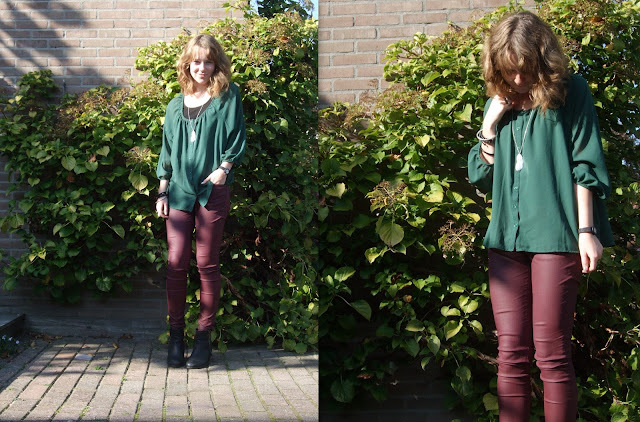 wat een mooie herfst outfit !